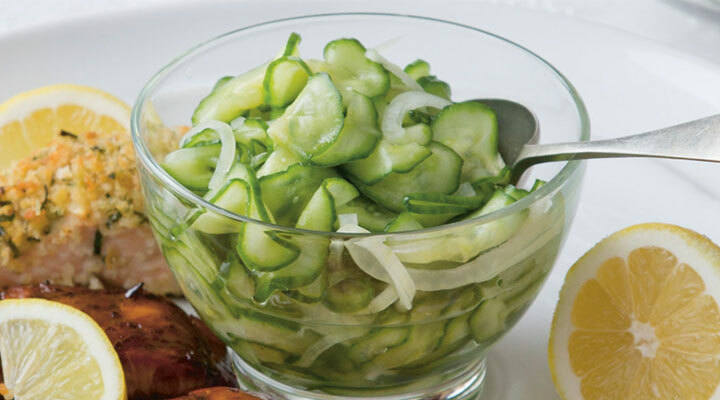 Thinly slice the unpeeled cucumbers and put in a bowl with the other ingredients. Toss well. Refrigerate for 2 to 3 hours, stirring occasionally, until the cucumbers have softened and released their juices into the pickling mixture.